The lead crystal panel goblet from the Blenheim range is a traditional design with diamond cut detail and an engraving panel. It will take pride of place at business events or special occasions. 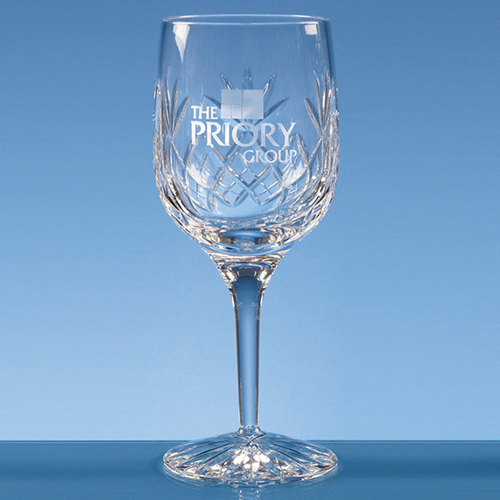 This goblet can be personalised with sandblast engraving or using an etch effect colour or silver paint. Also available in the Blenheim range are wine glasses, champagne flutes, whisky tumblers, high balls and brandy glasses.